I think this has more to do with the history of the game than any willful intention to not give multiple leaders to the Japanese. 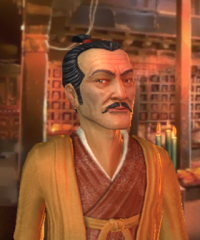 The first and second incarnations of the game didn't include Japanese leaders. They also may not have been in the third one, whereas I'm sure the Celts were in Civ III. It's probably just laziness about research or recognition that the market in Japan for Civ is not big so it's not worth putting in more detail for the Japanese civilization. Personally, I always chose my leaders based on what the city graphics looked like because the AI acts on the tendencies (like aggressive or diplomatic), but the player can do whatever she wants. I haven't played Civ IV though, so there may be an issue with choosing a leader who doesn't follow your gaming strategy in that version. Yeah, I think you're right, Orchid. I didn't mean that the developers were being racist or anti-Japanese or anything, but I do think it's a shame that Japan kind of got the shaft. I mean, you're right about the market, but then I bet there are more developed civs in the game with small game markets like Japan (Russia, for example). 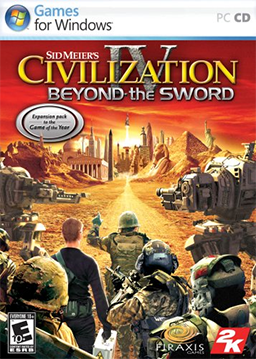 I liked Civ II and III a lot, and Civ IV is another step up. If you ever feel tempted to play it, I'd give it my recommendation. I mean, the game's made in the USA, right? The one option could have been Hirohito.